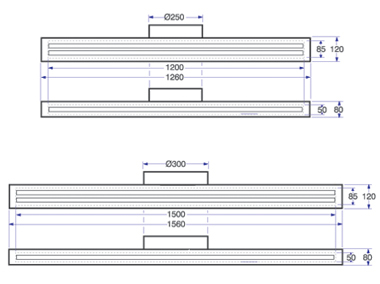 Rickard linear slot diffusers provide an effective means of distributing conditioned air into the perimeter zones of a building where the temperature control requirements are the most demanding. The slim, attractive shape of the diffuser ensures that its subtle design works with most architectural styles. At the same time its superior aerodynamic design ensures that the air distribution creates no drafts, is quiet and highly efficient. A linear slot electronic VAV ceiling diffuser must be connected to a wall thermostat (temperature sensor) for it to perform as a master diffuser. The diffuser can then operate with one or more slave diffusers, or as a standalone system to provide the required amount of conditioned air to the area. This amount of conditioned air is determined by the temperature in the space and the set point on the wall thermostat. 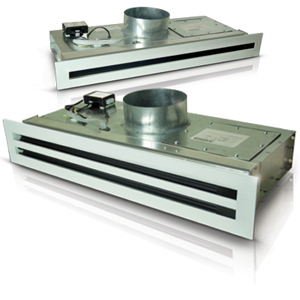 Air volume control on the linear slot diffuser is achieved with the opening and closing of vanes driven by an electric actuator. This increases or decreases the aperture size which allows more or less air to enter the occupied space. This will effectively maintain a comfortable temperature at discharge volumes from 100% down to approximately 10%. The air flow direction from the diffuser can be changed so it blows in the opposite direction, the same direction, or vertically downward for better room penetration in rooms with high ceilings. 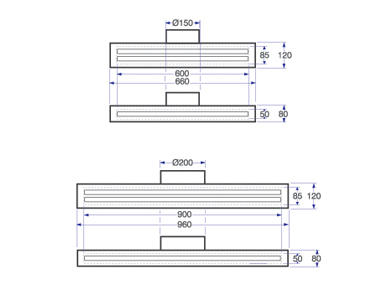 These changes can be made easily by the occupant from below the ceiling without affecting the diffuser’s performance.